32 posts categorized "Food and Drink"
We still ask ourselves as Ash Wednesday approaches, "What am I doing for Lent? What am I giving up for Lent?" We can be grateful that the customs of giving up something for Lent and abstaining from meat on Fridays during Lent have survived in our secular society. But, unfortunately, it is doubtful that many practice them with understanding. Many perform them in good faith and with a vague sense of their value, and this is commendable. But if these acts of self-denial were better understood, they could be practiced with greater profit. Otherwise, they run the risk of falling out of use. A greater understanding of the practice of self-denial would naturally benefit those who customarily exercise it during Lent. Better comprehension of self-denial would also positively affect the way Christians live throughout the year. The importance of self-denial can be seen if we look specifically at fasting and use it as an example of self-denial in general. Indeed, fasting, for those who can practice it, is a crucial part of voluntary self-denial. But since we live in a consumerist society, where self-indulgence rather than self-denial is the rule, any suggestion to fast will sound strange to many ears. It is bound to arouse the questions: Why is fasting important? Why must a Christian practice it? Using these questions as a framework, we can construct one explanation, among many possible ones, of the importance of self-denial. To answer the question "Why must the Christian fast?" we should first note that fasting, in itself, is neither good nor bad, but is morally neutral. But fasting is good insofar as it achieves a good end. Its value lies in it being an effective means for attaining greater virtue. And because it is a means for gaining virtue– and every Christian ought to be striving to grow in virtue–there is good reason to fast. Some people point out that fasting is not the most important thing and, therefore, they do not need to worry about it. Such reasoning displays a misunderstanding of our situation. But, since the excuse is common enough, some comments to refute it are worthwhile. First, while it is true that fasting is not the most important thing in the world, this does not make fasting irrelevant or unimportant. There are, certainly, more urgent things to abstain from than food or drink, such as maliciousness, backbiting, grumbling, etc. But a person is mistaken to conclude that he therefore does not need to fast. He should not believe that he can ignore fasting and instead abstain in more important matters. Rather, fasting and avoiding those other vices go hand in hand. Fasting must accompany efforts to abstain in greater matters. For one thing, fasting teaches a person how to abstain in the first place. Moreover, it is presumptuous for a person to try to practice the greater virtues without first paying attention to the smaller ones. As Our Lord says, "He who is faithful in a very little is faithful also in much"  and so can be trusted with greater things. Therefore, if a person wants to be able to abstain in greater matters he must not neglect to abstain in smaller matters, such as through fasting. Finally, there is a subtle form of pride present in the person who says that because something is not very important, he does not need to do it. Whoever makes such a claim implies that he does only important things. But the average person is rarely called to do very important things. Accordingly, each person is more likely to be judged on how he did the little, everyday things. Even when, rarely, a person is called to do a great work, how often does he fall short? All the more reason, then, for a person to make sure that he at least does the small things well. Furthermore, if he truly loves the Lord, he will gladly do anything–big or small–for him. So, in the end, saying that fasting is not the most important thing is not a good excuse for avoiding it. What, then, is the reason for fasting? Happy Thanksgiving from Ignatius Insight and Insight Scoop! Wishing You a Blessed and Happy Thanksgiving! Thanksgiving is a time-honored and cherished American tradition, rooted in the Christian belief that God is the source of all life and goodness, deserving our humble thanks and praise. Here is a selection of thoughts and prayers from some Ignatius Press books and authors about thanksgiving and gratitude. They have helped me to reflect more deeply on the importance and necessity of thanksgiving. I hope you enjoy them. "Make a joyful noise to the Lord, all the lands! "Serve the Lord with gladness! Come into his presence with singing! "Know that the Lord is God! and his faithfulness to all generations." John Paul II once recounted that one day his father put a prayerbook with the "Prayer to the Holy Spirit" into his hands and told him that he should pray it daily. He then gradually understood what it means when Jesus says that the true worshippers of God are those who worship him "in spirit and truth". What does that mean? This passage in chapter 4 of John's Gospel is the prophecy of a worship in which there will no longer be any temple, but in which the faithful will pray without an external temple in the fellowship of the Holy Spirit and the truth of the Gospel, in communion with Christ; where what is needed is no longer a visible temple but rather the new fellowship with the risen Lord. That always remains important, because it signifies a major turning point in the history of religion as well. And how does Pope Benedict pray? As far as the Pope is concerned, he too is a simple beggar before God--even more than all other people. Naturally I always pray first and foremost to our Lord, with whom I am united simply by old acquaintance, so to speak. But I also invoke the saints. I am friends with Augustine, with Bonaventure, with Thomas Aquinas. Then one says to such saints also: Help me! And the Mother of God is, in any case, always a major point of reference. In this sense I commend myself to the communion of saints. With them, strengthened by them, I then talk with the dear Lord also, begging, for the most part, but also in thanksgiving--or quite simply being joyful. "Our lives are involved with one another, through innumerable interactions they are linked together. No one lives alone. No one sins alone. No one is saved alone. The lives of others continually spill over into mine: in what I think, say, do and achieve. And conversely, my life spills over into that of others: for better and for worse. So my prayer for another is not something extraneous to that person, something external, not even after death. In the interconnectedness of Being, my gratitude to the other--my prayer for him--can play a small part in his purification. And for that there is no need to convert earthly time into God's time: in the communion of souls simple terrestrial time is superseded. It is never too late to touch the heart of another, nor is it ever in vain. In this way we further clarify an important element of the Christian concept of hope. Our hope is always essentially also hope for others; only thus is it truly hope for me too. As Christians we should never limit ourselves to asking: how can I save myself? We should also ask: what can I do in order that others may be saved and that for them too the star of hope may rise? Then I will have done my utmost for my own personal salvation as well." "In any intellectual corner of modernity can be found such a phrase as I have just read in a newspaper controversy: 'Salvation, like other good things, must not come from outside.' To call a spiritual thing external and not internal is the chief mode of modernist excommunication. But if our subject of study is mediaeval and not modern, we must pit against this apparent platitude the very opposite idea. We must put ourselves in the posture of men who thought that almost every good thing came from outside--like good news. I confess that I am not impartial in my sympathies here; and that the newspaper phrase I quoted strikes me as a blunder about the very nature of life. I do not, in my private capacity, believe that a baby gets his best physical food by sucking his thumb; nor that a man gets his best moral food by sucking his soul, and denying its dependence on God or other good things. I would maintain that thanks are the highest form of thought; and that gratitude is happiness doubled by wonder." "In the literary corpus of Augustine--more than 1,000 publications divided into philosophical, apologetic, doctrinal, moral, monastic, exegetic and anti-heretical writings in addition precisely to the letters and homilies--certain exceptional works of immense theological and philosophical breadth stand out. First of all, it is essential to remember the Confessiones mentioned above, written in 13 books between 397 and 400 in praise of God. They are a sort of autobiography in the form of a dialogue with God. This literary genre actually mirrors St Augustine's life, which was not one closed in on itself, dispersed in many things, but was lived substantially as a dialogue with God, hence, a life with others. The title 'Confessiones' indicates the specific nature of this autobiography. In Christian Latin this word, confessiones, developed from the tradition of the Psalms and has two meanings that are nevertheless interwoven. In the first place confessiones means the confession of our own faults, of the wretchedness of sin; but at the same time, confessiones also means praise of God, thanksgiving to God. Seeing our own wretchedness in the light of God becomes praise to God and thanksgiving, for God loves and accepts us, transforms us and raises us to himself." "For, if you will examine the familiar words of it, you will find that everywhere praise and thanksgiving are inextricably linked. When we praise God, we think of what is in himself high above us, infinitely greater than we are, wholly independent of us. But in the same breath we thank him for what he is to us, what he does for us. 'We praise thee, we bless thee, we adore thee, we glorify three, we give thanks to thee in the greatness of thy glory.' So, in the Gloria, we dispose ourselves for sacrifice; and when the sacrifice proper begins, we allow ourselves, for the moment, to forget even the duty of praising God, so overwhelmed are we by the thought of his benefits to us. 'Let us give thanks to the Lord our God. . . . It is fitting, it is right so to do. . . . Indeed it is fitting, it is right, it is to be expected of us, it is our hope of salvation, that always and everywhere we should give thee thanks.' For every mystery of our faith, from our Lady's child-bearing to the expectation of the faithful dead, it is always thanks we offer to God, just here." "Saint Thomas Aquinas took up this saying in his reflections for the Feast of Corpus Christi. In doing so, he showed how we Christians in the Church of the New Covenant can pronounce these words with yet more reason and more joy and with thankfulness than Israel could in doing so, he showed how this saying , in the Church of Jesus Christ, has aqquired a depth of meaning hitherto unsuspected; God has truly come to dwell among us in the Eucharist." - From God Is Near Us: The Eucharist, The Heart of Life by Joseph Cardinal Ratzinger (Pope Benedict XVI). "Grace is always given to those ready to give thanks for it" (Thomas À Kempis). - From The Treasury of Catholic Wisdom, edited and with an introduction by John A. Hardon, S.J. The second Joyful Mystery of the Rosary: In the first days of her pregnancy, Mary visited her cousin Elizabeth's home. There it was that she sang the "Magnificat." In this sudden song of the praise of God, she tells me a secret about my soul's food: "God fills the hungry." Mary wanted God, hungered after God, and God entrusted His Son to his care. God heaped "good things" on the table of her heart--His Son Jesus, "the fruit of her womb," was divine fruit for her soul. "Christ in the Eucharist is my soul's food. Jesus fills my emptiness and satisfies my insatiable hunger." "The idea of a feast of thanksgiving has universal and venerable precedent. Gratitude to God (or to gods: the powers that be) for the fruitfulness of the earth is deeply rooted in the religious heart of man. "The Jews had, and have today, three celebrations that are at least in part agricultural festivals: Passover, Pentecost, and Tabernacles or Succoth. Sacrifices were traditionally offered at the temple in thanksgiving for the harvest and festive meals held. "Christianity brought a new perspective to the ancient tradition. 'Eucharist' itself means 'thanksgiving,' and God is thanked, sacrifice offered every time the Eucharist is celebrated. This is why the eucharistic feast became the fundamental Christian meal, imparting beauty and symbolism to all other feasts." "The thanksgiving banquet is, in all its many forms, a beautiful tradition." "First of all, deep in every human heart is a need to worship and to thank. One of the frustrations the atheist has to face (as Chesterton pointed out) is to experience the innocence of a baby's face or the splendor of a nighttime sky and then have no one to thank for it. And because we are social beings, we need on occasion to express this gratitude and adoration with other people. We need liturgy." -- From Prayer Primer: Igniting a Fire Within, by Fr. Thomas Dubay, S.M. "The evangelists have preserved. . . explicit prayers offered by Christ during his public ministry" [Mt 11:25-27 and Lk 10:21-23]. "Each begins with thanksgiving" (CCC 2603). The same is true of the prayer given in Jn 11:41-42.
d. God's patient, daily grace in making us holy and good and able to enjoy him more in eternity. Even when we have few earthly gifts, we have God (sometimes, only then!). "The Giver is more precious than the gift" (CCC 2604). Our gratitude, too, should be Christocentric. If we do not feel grateful, we should turn again to the crucifix. That is what God did for us. We should practice giving thanks especially when we do not feel thankful, for that is when we need to most. "Give thanks in all circumstances,- for this is the will of God in Christ Jesus for you" (I Thess 5: 18). And he said to me, 'These are they who have come out of the great tribulation; they have washed their robes and made them white in the blood of the Lamb.'" Continue reading on Ignatius Insight. Cardinal Schoenborn, who regularly gathers the people of his diocese in the beautiful medieval cathedral of Vienna, Austria, knows how to communicate the great Christian mysteries in modern ways. He has the gift to integrate contemporary everyday experience with the knowledge passed on from tradition and the great thinkers and theologians of the church. 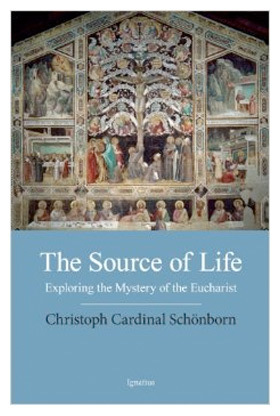 In this volume, focusing on the beauty and power of the Holy Eucharist, the renown Cardinal and prolific author also explores how these rituals often connect to the Jewish roots of the Christian story. Accessible to all those who want to know more about the essential source of Christian spirituality in order to elevate the depth of their experience in it, this work defines the origins of the Eucharist in the Passover celebration and the Last Supper, along with other key elements of the liturgy, including sacrifice, transubstantiation, the transformation of the bread and wine, and the significance of the Eucharist today. A readable, beautifully insightful book for everyone who desires to understand and experience more profoundly the central sacrament of Christian life. Cardinal Christoph Schoenborn, the Archbishop of Vienna, is a highly regarded spiritual teacher and prolific writer, and a former student of Pope Benedict XVI. He was the primary editor of the Catechism of the Catholic Church, and has written numerous books including Jesus the Divine Physician, Chance or Purpose?, Behold God's Son, We Have Found Mercy, and Living the Catechism of the Catholic Church. The Gospel of John contains some seventeen direct references to signs (semeia), which is St. John’s term for the miraculous deeds of Jesus. St. John is especially interested in how these various signs are manifestations of God’s new and transforming intervention in human history through the Word, the Logos. His Gospel is a profound reflection on the fact and mystery that God became man and dwelt among us, “full of grace and truth” (see Jn 1:1-14). Chapters 2 through 12 of John’s Gospel are sometimes called collectively “The Book of Signs,” for they contain seven signs, or miracles, performed by Christ. These signs include the healing of the official’s son (Jn 4), the healing of the paralytic (Jn 5), the multiplication of the loaves (Jn 6), walking on water (Jn 6), the restoration of the blind man (Jn 9), and the raising of Lazarus (Jn 11). The first sign, however, is the miracle at the wedding at Cana, proclaimed in today’s Gospel, which is found only in the Fourth Gospel. The exact location of Cana is unclear, but it was probably just a few miles north of Nazareth. The identity of the bride and groom are unknown, although a later tradition from about the third century states that Mary was the aunt of the bridegroom. What is known, for it forms the crux of the story, is that something embarrassing had taken place: the wedding party ran out of wine. Mary, ever attentive to the needs of others, intercedes on behalf of the bride and groom, telling her son, “They have no wine.” She prays—that is, entreats—in faith, for the needs of those gathered for the feast. This foreshadows her prayers, as “Mother of all the living” and Mother of the Church, at the foot of the Cross, the saving way to the marriage feast of the Lamb (cf. Catechism of the Catholic Church, 2618, 1335, 963). Jesus’ response is puzzling, perhaps even perplexing: “Woman, how does your concern affect me?” But the term “Woman” is not an insult, as some have argued incorrectly; it is actually a formal title of respect (cf. Matt 15:28). What is unusual is how Jesus, in speaking to his mother, uses the term without any qualifier. It indicates a changed relationship between son and mother (cf. Jn 19:26). Further, in using it, Jesus identifies Mary as the new Eve, whose obedience and faith will be an essential part of the new creation and a new family, the Church. Jesus stated that his hour—the time of his passion, death, resurrection, and ascension (Jn 13:1)—had not yet arrived. Mary does not question him, or protest. Her words to the servers are words of invitation to all of us: “Do whatever he tells you.” She trusts her son, knowing he will do what is right and necessary. “The Mother of Christ presents herself as the spokeswoman of her Son's will,” observed Blessed John Paul II in Redemptoris Mater, “pointing out those things which must be done so that the salvific power of the Messiah may be manifested. At Cana, thanks to the intercession of Mary and the obedience of the servants, Jesus begins ‘his hour.’” (par 21). The Church sees the miracle at Cana as a “confirmation of the goodness of marriage” (CCC 1613). But there is also a connection to baptism, for the jars used in the miracle were for ceremonial washings, for ritual purification from defilement. In the waters of baptism, we are cleansed by God’s grace and transformed by his power. Through baptism we become members of the Church, the bride of Christ, and are invited to partake of the blood of the bridegroom (CCC 1335). First water, then wine; first baptism, then Eucharist. By these sacraments, perceptible signs, we are changed, cleansed, fed—and wed.
You are Who you eat: "Let Christ be eaten..."
Saints who smoked, popes who puffed, and others who snuffed. In 1873, impoverished Confederate veteran Chiswell Langhorne (left) moved his family from Lynchburg to Danville, Virginia and began looking for work. The owner of a Danville tobacco warehouse had recently developed a new system of selling tobacco by auction: Instead of having farmers’ tobacco hogsheads sampled for interested buyers, the warehouse owner had all the tobacco laid out in long rows for auction. Langhorne, a lively character with a taste for showing off, got the idea that he would make his mark somehow in the newly flourishing Danville tobacco trade. He added his own rhythmic body language and thereby created a fast-paced and entertaining auctioneering chant that allowed buyers moving along the rows of tobacco to track the rapid progress of the sales. At the time just after Spanish explorers were introduced to tobacco by way of Columbus’ voyages, smoking or snuffing it—as the New World natives did—carried with it something of an air of deviltry because natives saw in it a connection to invisible spirits. To some of the most earnest missionary clergy, the wreaths of its smoke and its action upon the spirits of those who imbibed it were a kind of sacramental parody of the Church’s sacraments, established in the New World beforehand by the Devil in order to hinder its evangelization. “Substance over style.” This phrase is a good reminder that a culture filled with empty rhetoric, flashing lights, endless entertainment, and the promise of bigger and better cannot satisfy our ultimate needs and desires. It also raises the question: What substance? How to identify it? Today’s guide to the answer is the widow. Widows are mentioned close to a hundred times in the Bible. They have a special place, along with orphans, the fatherless, and the oppressed, within the Law and the Prophets; they represent those who are afflicted, vulnerable, and deserted. “You shall not afflict any widow or orphan,” the Lord told the Israelites, “If you do afflict them, and they cry out to me, I will surely hear their cry…” (Ex. 22:22-3). They were reminded that Yahweh is “the great, the mighty, and the terrible God, who is not partial and takes no bribe. He executes justice for the fatherless and the widow, and loves the sojourner, giving him food and clothing” (Deut. 10:17-18). The widow met by the prophet Elijah was not only destitute, she was not an Israelite; Zarephath was a Phoenician town on the Mediterranean coast. Seeking shelter and safety from King Ahab, Elijah had been told by the Lord that the widow would be waiting for him (1 Kgs. 17:9). Both of them were in desperate straits, abandoned and isolated from any sort of earthly support. She, in fact, was resigned to death by starvation. But she did as the prophet of God directed her. Even in the face of death, she was willing to listen to voice of God, and so she and her son were blessed with a miraculous source of flour and oil. The scribes were experts in the Law whose theological judgments carried great influence and authority. Jesus did not condemn them en masse, for in the passage prior to today’s Gospel reading he told a scribe, “You are not far from the kingdom of God” (Mk. 12:34). Yet he strongly criticized the conduct of many scribes, those who chose style over substance. They were more concerned with looking good, getting attention, and receiving honors than they were with the things of God and the plight of widows. Some of them “devoured the houses of widows,” likely a reference to financial fleecing. Reliant on private donations, some scribes would say prayers meant for human ears and not for God. Rather than pleading for the widows (cf. Isa. 1:17), these scribes were taking advantage of them, something condemned strongly by the Law and the prophets. The widow’s physical poverty was real, and she had little or no control over it. But her spiritual poverty—that is, her humility and devotion to God—was also real, and it was the result of her will and her choosing. She embodied the first of the Beatitudes: “Blessed are the poor in spirit, for theirs is the kingdom of heaven” (Matt. 5:3). This sort of sacrificial giving and living is not, of course, much in style. But serving God is not about style. It is about substance. “Let Christ be eaten”—that is the essence of today’s Gospel reading. It contains the fourth and final “Amen, Amen” statement from Jesus in his Bread of Life discourse. With each statement (Jn. 6:26, 32, 47), Jesus took his listeners deeper in the mystery of his person, mission, and gift of salvation—a mystery rooted in the Incarnation, pointing to his death and resurrection, and given to the Church in the Eucharist. As Jesus revealed more, he met more resistance. At first his listeners asked questions (v. 30), then made demands (v. 34), then murmured openly (v. 41), and then began to quarrel over his words. Jesus’ claim that the bread of life he offered was somehow closely linked with his actual flesh was deeply offensive. It smacked of cannibalism, which was an offense providing evidence God had cursed his covenantal people (cf. Lev. 26:27-29). So if Jesus, in saying that “the bread that I will give is my flesh”, was using metaphorical or poetic language, surely he would have cleared up any misconceptions created by his startling language. These words, more than any other in Scripture, stopped me cold in my tracks many years ago. As a Fundamentalist and, later, as an Evangelical Protestant, I had never heard a sermon or attended a Bible study that grappled with these words. The various books and commentaries I studied did not address satisfactorily the meaning and purpose of Jesus’ declaration, “For my flesh is true food, and my blood is true drink.” I asked the same question as those listening to Jesus in person: Whatever did he mean? Part of the answer is found in how Jesus described himself as the “living bread that came down from heaven.” G. K. Chesterton, in The Thing: Why I Am a Catholic, expressed it well, “Heaven has descended into the world of matter; the supreme spiritual power is now operating by the machinery of matter, dealing miraculously with the bodies and souls of men.” Put simply, the Eucharist is a continuation of the Incarnation. By becoming man, the Son of God took on flesh—not in appearance only and not for just a few years, but in actuality and for all of eternity. The Creator, having taken on flesh, now brings about a new creation by inviting man to receive his flesh and blood in the Most Holy Eucharist. Having become man, the Son gives himself to us so that we, made sons of God through baptism, might continue growing in truth and grace and divine life, feeding on his life-giving flesh and blood. The Eucharist does not just sustain us, but transforms us; it does not just fill us, but completes us. How do we remain in Christ and become more Christ-like? By eating his flesh and blood. You are Who you eat. “I’m hungry! I’m starving!” What parent hasn’t heard this (often exaggerated) complaint? It is common to young children, but certainly not limited to them. When I was in high school I went on a ten-day hiking trip with a small church group. On the seventh day, due to poor planning, the food ran out and the complaints began. For a couple of days I had a very small taste—so to speak!—of what the Israelites experienced while wandering in the desert. Like them, I murmured and grumbled about the leaders: “But you had to lead us into this desert to make the whole community die of famine!” (cf. Ex. 16:2-4). That complaint was part of the Old Testament reading last week. In today’s Gospel we find that the Jews—those religious leaders ardently opposed to the person and message of Jesus—were murmuring and complaining. They were upset by his claim to be the “bread of heaven that came down from heaven.” The basis for their murmuring disbelief can be summarized quite simply: “We know who this Jesus really is!” This exchange, after all, took place near Capernaum, which was the center for much of Jesus’ public life and ministry (cf. Jn. 2:12; Mk. 2:1). Jesus responded to the complaints by appealing to the two authorities found throughout his discourses in the Fourth Gospel: the Father and the prophets. Belief in the Son, he said, is a gift from the Father, and testimony to this fact is given by the prophets, whose entire mission was to exhort the people to hear God, learn from Him, and obey Him. The Son was sent to draw men to the Father; likewise, no man comes to the Father except through the Son. This exclusive claim, which was just beginning to come into focus for the Jews listening to Jesus, is just as demanding and divisive today as it was two thousand years ago. This is why the Church, from the day of her birth, has had to address every sort of skewed understanding and false teaching about the person of Jesus Christ. Jesus then uttered the third, “Amen, amen,” of this discourse. The first (v. 26) had been a rebuke of the selfish motives and lack of faith shown by those following him. The second (v. 32) prefaced the revelation that he is the bread of life. The third is an invitation to faith: “Amen, amen, I say to you, whoever believes has eternal life. I am the bread of life.” The manna in the wilderness was indeed miraculous in its source, but natural in its substance; those who ate it were physically nourished for a while, but eventually died. The great joy of our heavenly Father is to hear us say, as we come forward to receive the body, blood, soul, and divinity of his Son: “I’m hungry! I’m starving!” Instead of a murmuring complaint, this should be a cry of joy, a prayer of thanksgiving, and a public expression of faithful recognition. What does that mean? Those in the crowds following Jesus viewed him through a cramped and selfish set of lens. Having witnessed amazing signs, they wondered how they could benefit materially or politically, perhaps by setting Jesus up as king (Jn. 6:15). Having seen bread multiplied before their eyes, they could think only of getting even more, and of satisfying their physically hunger. This is the first of the four “Amen, amen” statements made in John 6. Each builds on the previous; each is a profound pronouncement. The Hebrew word “amen” (sometimes translated “truly” or “verily”) indicated a solemn statement of truth and veracity. It was, in essence, a sacred oath. In this first instance, the rebuke was followed by an exhortation to not work for food that perishes, but “for food that endures for eternal life.” What is required? What is needed? Belief in the One sent by God. The response to this call to faith was astounding: “What sign can you do …? What can you do?” They had seen him multiply five loaves and two fishes to feed thousands and they still demand a further sign, further proof! Their reference to their ancestors in the desert with Moses is, of course, quite ironic, for the Israelite community—as today’s Old Testament reading recounts—continually doubted and second-guessed the authority of Moses. Given manna—“bread from heaven”—the Israelites had asked, “What is this?” (Ex. 16:15). Their descendents, likewise, failed to recognize the supernatural character of the Incarnate Word and the heavenly origin of the God-man. In order to comprehend where he was from, they had to be corrected about Who gave the bread from heaven. It was God the Father, not Moses, who sustained the people in the wilderness. The woman at the well, not yet comprehending the spiritual nature of Jesus’ words, had said, “Sir, give me this water” (Jn. 4:15). In a similar manner the people in the crowd insist, “Sir, give us this bread always.” But they, like their fathers, still did not understand “that man does not live by bread alone, but that man lives by everything that proceeds out of the mouth of the Lord” (Deut. 8:3). Having eaten the bread miraculously multiplied before them by the hands of God, they still tried to force God into a box—a lunch box. That box—the destructive illusion of selfishness, political schemes, and materialism—was shattered with a few simple words: “I am the bread of life.” The new manna was a man! When, as an Evangelical Protestant, I began working my way through the many Catholic beliefs that both puzzled and attracted me, one really stood out: the Eucharist. Yes, I thought to myself, it does shock me. What to think? What to do? The center of the shock is located in John 6:51-59, where Jesus stated emphatically, “Amen, amen, I say to you, unless you eat the flesh of the Son of Man and drink his blood, you do not have life within you” (Jn. 6:53). But to appreciate more profoundly the mystery of the great Bread of Life discourse, we need to start at the beginning of the chapter and slowly work through the various stages of explosive revelation found in what is an argument, a teaching, a prophetic utterance, and, ultimately, a direct encounter with the heart of Jesus Christ. Today’s Gospel reading is the first of five successive weeks of readings from John 6. These opening fifteen verses establish both the physical and theological context of what follows. Jesus had crossed the Sea of Galilee with a large crowd following on land; the people were curious about the miracles and signs performed by the Nazarene. St. John notes, quite purposefully, that Jesus “went up on the mountain,” which indicates that God was about to work in a miraculous and startling way. The Evangelist also indicates the feast of Passover was near; this was the second Passover during Jesus’ public ministry. During the first Passover, Jesus had cleared the Temple and then prophesied rather cryptically his death and resurrection (Jn. 2:19-22). Later in John 6, Jesus spoke again about his death and resurrection (6:51). And the third Passover, of course, was when Jesus was arrested, tried and crucified (Jn. 19:14). The Passover context is significant for this central Jewish feast was a solemn ceremony in remembrance of the Exodus from Egypt, a pivotal and defining moment in Jewish history. At that first Passover (Ex. 12) the people were commanded to take an unblemished lamb, kill it, and spread the blood over the doorposts. They were then commanded to eat the lamb completely, along with unleavened bread. Down through time the Jews celebrated the Passover with a feast involving bread and wine and the singing of Psalms, followed by the sacrificing of lambs in the Temple. Jesus is described as the Lamb of God “who takes away the sin of the world” in the opening chapter of John’s Gospel (Jn. 1:29). In the sixth chapter, then, the essential themes are sustenance, sacrifice, and salvation. The sustenance was, first of all, physical in nature. Jesus was quite aware of the basic needs of those following him. But the miracle of the multiplication of the loaves and fishes was not simply about physical satisfaction, but was the start of spiritual challenge and illumination. In a pattern described several times in the Fourth Gospel—think of Nicodemus (Jn. 3) or the Samaritan woman at the well (Jn. 4)—Jesus began with a physical object or event, such as birth or water, and used it as a springboard into deep spiritual waters. Those waters, in turn, are shown to be sacramental in nature. As we will see over the next few weeks, the physical sign of multiplying bread—itself a symbol pointing to the reality of the Eucharist—led to the declaration of a spiritual truth, “I am the bread of life” (Jn. 6:35). The Bible refers to many strange and exotic creatures, including dragons, snakes, talking donkeys, and demon-possessed swine. But the most widely discussed and depicted animal in all of Scripture is ordinary, meek, and not altogether bright. Sheep are easily the most-mentioned animals in the Old and New Testaments, with some 400 literal and metaphorical references, in addition to about a hundred references to shepherds. Along with goats, sheep were essential to the lifestyle—both nomadic and agrarian—of the Hebrews, who relied heavily on the wool, milk, and meat of the sheep. That vital relationship between sheep and shepherd was the basis for figurative language describing a familial and spiritual relationship, sometimes between the people and their leaders, and sometimes between the people and God. The Pentateuch describes God as “the Shepherd” (Gen. 49:24), and expresses the need of the “congregation of the Lord” to have an appointed leader so they “may not be as sheep which have no shepherd” (Num. 27:16-17). There are several references to sheep who have no shepherd or master (1 Kng. 22:17; 2 Chr. 18:16), a theme developed at length by several of the prophets, especially Ezekiel and Jeremiah. Ezekiel 34 is the longest example of a condemnation of bad shepherds—religious and civil leaders who have failed the people precisely because they have not obeyed the commandments of God. Today’s reading from Jeremiah is another example of a prophetic denunciation of those who “mislead and scatter the flock” of God’s pasture, failing to care for and protect the people. Jeremiah speaks of a day when God will gather “a remnant” of his flock and appoint shepherds “who will “shepherd them.” This is a prelude to a prophecy about the Messiah—the righteous shoot, or offspring, of David—who will reign, govern, and bring salvation. The rule of the Messiah is a sacred kingship bringing to realization the blessings of the covenant and establishing justice and righteousness. This, of course, is a reference to Jesus Christ, who has, Paul writes in today’s reading from his letter to the Ephesians, reconciled man to God through the Cross and established peace. The Church is a sheepfold whose one and indispensable door is Christ. It is a flock of which God Himself foretold He would be the shepherd, and whose sheep, although ruled by human shepherds; are nevertheless continuously led and nourished by Christ Himself, the Good Shepherd and the Prince of the shepherds, who gave His life for the sheep” (par. 6). Paul explained to readers in Ephesus that Christ came and preached peace so both Jews and Gentiles could have access through him “in one Spirit to the Father.” All men are called to the sheepfold, the household of God, and invited to enter. Some, sadly, will turn away, preferring false freedom over eternal life. Today’s Gospel depicts the moment between the disciples returning from preaching repentance door to door and the feeding of the five thousand (Mk. 6:35-44). Having invited those who were his disciples to rest a while, Jesus soon thereafter saw the great crowd who were following him, “for they were like sheep without a shepherd.” Here, at last, was a shepherd who truly loves his people! Each man needs a shepherd, for he is incapable of fulfilling the deepest longings of his soul and heart. As St. Augustine acknowledged in his Confessions, “our heart is restless until it rests in you.” Only the Lord, King David wrote in perhaps his most famous psalm, can lead us by restful waters and refresh our souls. “The Lord is my shepherd; there is nothing I shall want.” The divine shepherd guides us, protects us, and feeds us with his body and blood, soul and divinity. He fills our deepest desire: to dwell in the house of the Lord forever. There is a human need for discipline, which is another word for asceticism. Pope Benedict XVI has done, perhaps, more than anyone else to address and correct this matter. On his recent trip to England, 6 he repeated a litany of public apologies, as well as meeting personally with many of the victims, as he has done in Germany, and innumerable other instances over the past 5 years. Perhaps, it’s now time to change course and be more proactive. The public action of the Church must change from one of endless apologies to one of resolute, positive action. That action must include a return to the classic asceticism that has been the hallmark of the Church for 20 centuries. We will briefly discuss: (1) What ascetical discipline is: (2) How the practice of asceticism has given the Church its acknowledged holiness over the centuries; (3) What happened over the past 50 years to vitiate Church asceticism; and, (4) the efforts at renewal that should be taken now. "I can't believe in 2012 the federal government is raiding Amish farmers at gunpoint all over a basic human right to eat natural food," said one of them, who asked not to be named but received weekly shipments of eggs, milk, honey and butter from Rainbow Acres, a farm near Lancaster, Pa. "In Maryland, they force taxpayers to pay for abortions, but God forbid we want the same milk our grandparents drank." The solution seems obvious: claim that fresh farm products are contraceptives and are necessary for the fulfillment of "reproductive justice". Then the government will not only make sure everybody has access to them, they will be covered by your insurance, promoted by Planned Parenthood, and handed out for free at high schools across the land. But just as the cocktail captured the delusions of the Jazz Age, so does the rise of the microbrew capture this curious moment in American history: in the wake of the financial crisis (so long, four-figure bottles of Cristal) in the aftermath of two towers and two wars (goodbye, cosmopolitan), in the damp penumbra of China’s ascent, what kind of patriot can think of drinking a Bud Light, brewed by the intra-national conglomerate Anheuser-Busch InBev? Lazy hyperbolists in the journalistic trade often use “renaissance” to mean “modest renewal in public interest,” but beer really has enjoyed a renaissance, both in the United States and Europe, where even the oenophilic Italians have discovered the pleasures of brewing. Whereas Prohibition left the United States with just a handful of brewers, many of which were swallowed by postwar corporatization, there are now some 1,700 breweries across the land. The small-scale microbrewery is now being supplanted by the nanobrewery, which may well just be a guy in his basement. It is not a renaissance on the order of da Vinci and Erasmus, but it is something. This past Saturday evening, I enjoyed this glorious 22 oz. bottle of stout splendor (or, if you prefer, "splendid stout"), which was brewed just minutes from my home. Coupled with ribs and a 53-30 Oregon win over Stanford, it was indeed something. Embarking upon parenthood several years ago, my wife got a nasty flu bug. Concerned that our daughter, who was just a few weeks old, might contract the same illness, I took care of her around the clock while my wife recovered. It was a memorable, sleep-deprived learning experience. I was especially struck by how utterly dependent my daughter was on me for food, and how when I fed her she exuded a sense of trust and contentment. That simple but life-giving action gave me a sense of joy and a deeper awareness of my fatherhood. We usually take food for granted; in fact, our concerns about food often focus on eating less of it. That would rarely, if ever, be the case for people in the ancient world. In addition to food often being scarce, it was also usually simple: water, grains, milk, honey, dates, wine. When the prophet Isaiah proclaimed, “You who have no money, come, receive grain and eat; Come, without paying and without cost, drink wine and milk!”, he was not simply being poetic. He was expressing the desire that common people had for the day when they wouldn’t have to worry about having enough food and where it would come from. What is this divine abundance? It is, the Catechism explains, the mystery of the Incarnate Son of God, given to man under the appearance of bread and wine: “The miracles of the multiplication of the loaves, when the Lord says the blessing, breaks and distributes the loaves through his disciples to feed the multitude, prefigure the superabundance of this unique bread of his Eucharist” (par 1335). The compassion that Jesus had for the people and the way he went out to meet them in the midst of his grieving is in direct contrast to Herod’s birthday party (Matt 14:1-11), which climaxed with the murder of Jesus’ cousin, John the Baptist. Whereas Herod took life to satisfy his desires, Jesus gives life and satisfies man’s deepest needs. In feeding the people, Jesus’ actions deliberately foreshadow the institution of the Eucharist. He took the loaves, blessed them, broke them, and gave them to his disciples—the same actions that later took place at the Last Supper: “While they were eating, Jesus took bread, said the blessing, broke it, and giving it to his disciples said, ‘Take and eat; this is my body’” (Matt 26:26; cf., Mk 14:22). The word “multiplication” never occurs in Matthew’s account, nor is it clear when the food did multiply. Was it when Jesus gave the food to the disciples to distribute? If so, it fits with how that supernatural action anticipates the Mass and how the Father in heaven allows mere men, by the power of the Holy Spirit, to participate in the saving work of the Son. Priests, being spiritual fathers, give spiritual food and drink to the children of God, bringing abundant joy and supernatural life. • Abbot Vonier and the Christian Sacrifice | Aidan Nichols, O.P. • The Mass of Vatican II | Fr. Joseph Fessio, S.J. 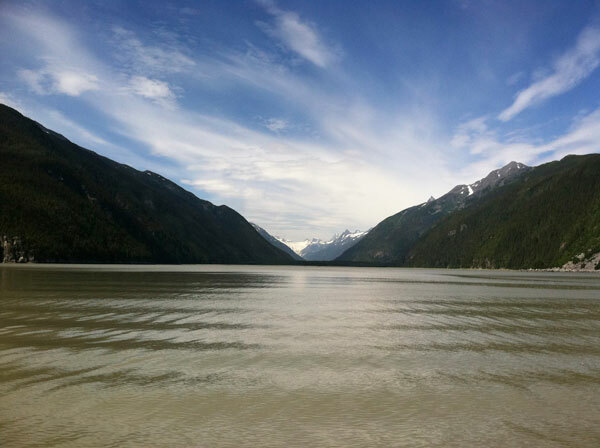 At last, here are a few photos taken on the Catholic Answers Alaskan Apologetics Cruise 2011 (July 8-15). 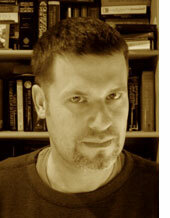 It was my first such cruise with Catholic Answers; my fourth overall, having gone on apologetics cruises to the Caribbean, Alaska, and Hawaii with Envoy magazine back in 2002-04. Of those three cruises, Alaska was my favorite in terms of scenery (and lack of humidity! ), and this return trip further validated my preference. Based on the weather reports leading up to our departure, we expected cool and possibly rainy weather. But instead we enjoyed magnificent warm and sunny days and only moderately cool evenings. Karl Keating, founder and president of Catholic Answers (and author of a few Ignatius Press books), was the "captain" of our group; he invited five other speakers: Tim Staples (Director of Apologetics at Catholic Answers), Patrick Madrid (well-known author and apologist who worked for Catholic Answers in the early 1990s), Jim Burnham (co-founder of San Juan Catholic Seminars), Fr. John Trigilio (president of the Confraternity of Catholic Clergy and author of several books), and myself. The mixture of talks was fairly diverse, including topics such as basic apologetics, Jesus Christ, Scripture, the Eucharist, the Mass, the Papacy, and so forth. There were also two 90-minute-long Q&A sessions, which were very well received; many folks told me they enjoyed those the most as so much information was covered in a relatively short amount of time. The panel answered between 50 and 60 questions during each of those two sessions. "Whoever eats my flesh and drinks my blood has eternal life..."
In my late teens I began to have questions about the beliefs and practices of the small Fundamentalist Bible chapel—co-founded by my parents—I had attended most of my life. Many of these questions were only half-formed at the time, but later came into sharper focus, causing me to critically rethink much I had been taught. Why was it, I wondered, that I had heard several sermons about Rahab the harlot (Josh 2 and 6), but only one about Mary, the mother of Jesus? Why did we celebrate Easter and the Resurrection of Christ, but ignored Good Friday and the commemoration of Jesus' death? And why did we celebrate the Lord’s Supper each Sunday, but always emphasized that our communion service was only “symbolic” in nature? John 6, especially verses 51-71, was the most bothersome passage in the Bible for me as a Protestant. That section of Scripture played an essential role in the decision my wife and I made to become Catholic, entering the Church together in 1997. Yes, there were many other important issues, including Church authority, history, Mary, and the other sacraments. But at the heart of our hunger was a desire for the Most Holy Body and Blood of Jesus Christ. “For my flesh is true food,” Jesus told his disciples and the others listening to him, “and my blood is true drink.” I became convinced of what the Church taught—and had taught for two thousand years—about the Real Presence: “In the Eucharist Christ gives us the very body which he gave up for us on the cross, the very blood which he ‘poured out for many for the forgiveness of sins.’” (Catechism of the Catholic Church, par 1365). Jesus had fed the people real bread (Jn 6:1-14). He then offered real, eternal life to those who believed in him. And then he offered his real flesh as food and his real blood as drink. Natural food, of course, sustains natural life. And the manna, although given in a miraculous manner, was still natural food for natural life. But the new manna, the Body and Blood of Jesus Christ, is supernatural food given for supernatural life. This new manna, the Eucharist, is “the source and summit of the Christian life” (CCC 1324). It is, as Paul wrote the Corinthians, participation in the blood and body of Christ. It is, for me, no longer bothersome, but still stunning. "Know that the LORD is God! It is he that made us, and we are his; we are his people, and the sheep of his pasture. "Enter his gates with thanksgiving, and his courts with praise! Give thanks to him, bless his name! "For the LORD is good; his steadfast love endures for ever, and his faithfulness to all generations." From Cooking with the Saints: An Illustrated Treasury of Authentic Recipes, Old and Modern by Ernst Schuegraf. Nicholas lived in the fourth century and was bishop of Myra, now in southwestern Turkey. Nothing else is of historic certainty, although his veneration in the East can be traced to the sixth century. A fictitious biography written by Methodius in the ninth century contains all the miracles and legends we now associate with St. Nicholas. The legend of Santa Claus can be traced back to St. Nicholas, and his legend is particularly strong in Holland and Belgium and throughout Europe. In Holland, St. Nicholas has a helper who hands out cookies before the arrival of St. Nicholas on December 6. Here is a recipe for Speculaas, a cookie handed out by St. Nicholas and eaten between December 6 and Christmas Day. Mix together the sugars, the shortening and the butter. Add the condensed milk and spices and gradually blend in the flour and baking soda. Crush the almonds with a rolling pin and mix in. The dough will be somewhat stiff. Roll into logs covered with plastic or waxed paper. Cut into slices and place on a lightly greased cookie sheet. Bake in preheated oven at 375 degrees F for around 10 minutes. Traditionally Speculaas are imprinted with some pattern created by a wooden mold (before baking). If you imprint the cookies with a mold, they will look better.